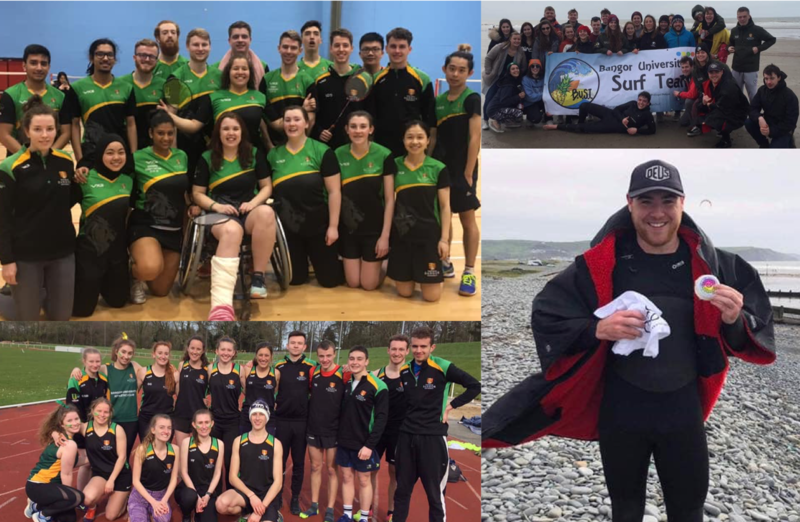 Bangor have made a perfect start to Varsity 2019, bagging all the spoils in the opening seven fixtures. These early fixtures were played on March 23rd, and saw Bangor take a 7-0 lead in the overall competition. Badminton had three points up for grabs, with Men’s 1st, Men’s 2nd and Women’s 1st competing. Benefitting from home soil, all three points were won by Bangor at Canolfan Brailsford. Athletics was a close affair, with an array of events being fought, including: 100m, 200m, 400m, 800m, 1500m, 3000m, 4 x 100m, Long Jump, Shot Put, Javelin and Discus. Bangor narrowly stole victory in the final relay event to win the contest 63-61. Surf brought about a wave of success, with Jack Patching winning 1st place in the Men’s heat, followed by Edward Cardona in 2nd and Ben Davies in 4th. In the Women’s heat, Candace Flatley collected 2nd place with Helen Millar closely behind in 3rd. Making up the other two available points – Sailing won by 33 to Aber’s 47, whilst Climbing clawed their way to victory. Another round of early matches will take place this Wednesday (27th) ahead of the big day in Aberystwyth on March 30th, where the winners of Varsity 2019 will be decided. Make sure you follow Seren’s Varsity Hub on the website this Saturday for all the latest scores and the winning announcement.